VaxGen Inc.'s "failure to perform is not excusable," said a terse letter the Department of Health and Human Services sent to the California-based company late Tuesday. The agency concluded the failure put VaxGen in default of the company's federal contract — meaning that for now, the government has no clear plan to find a next-generation anthrax vaccine. 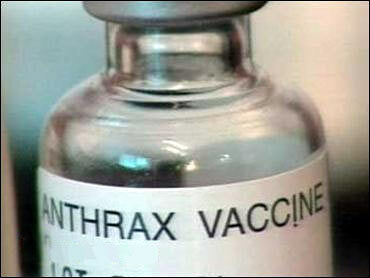 VaxGen's shots were intended to replace the current anthrax vaccine, which requires six shots administered over 18 months. VaxGen's was to require no more than three shots. VaxGen, of Brisbane, Calif., has the right to appeal and said in a statement that it "is actively exploring its strategic and legal alternatives."